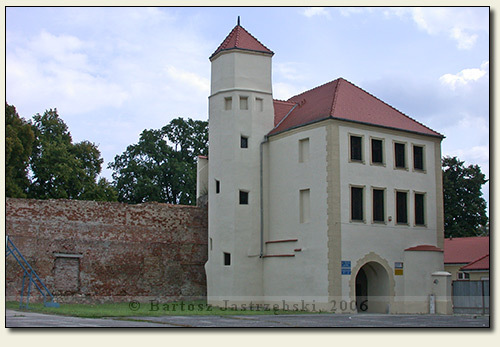 Krosno Odrzańskie is a relatively large town not far from the boundary with Germany. 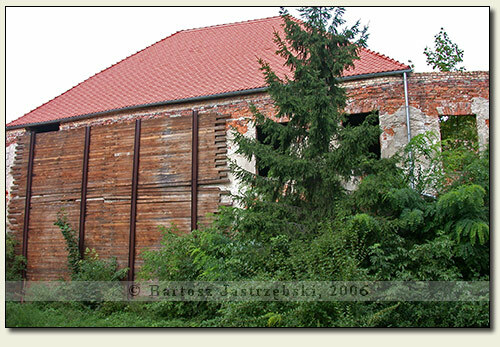 If you enter it along the road no 297 from Świebodzin, then next you need to turn left into the road no 29 to Zielona Góra. 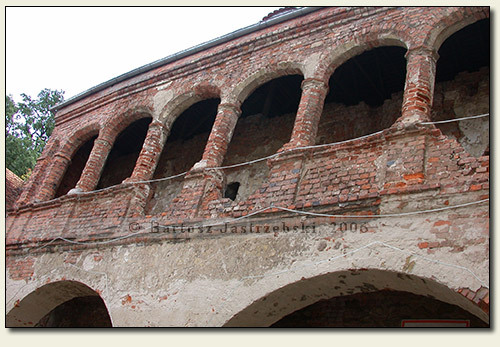 Driving down that road through the whole time it is necessary to come to a large bridge on the Oder river. Right beyond it turn into the first road to the left and at its end there are situated the ruins of the castle. 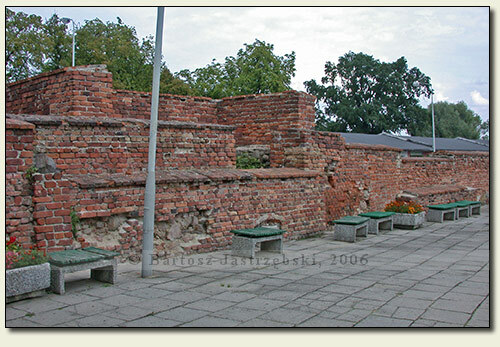 Krosno was a prominent town already in the early Middle Ages on account of its location in forks of the Oder and Bóbr. The first references to the place appeared already in 1005. 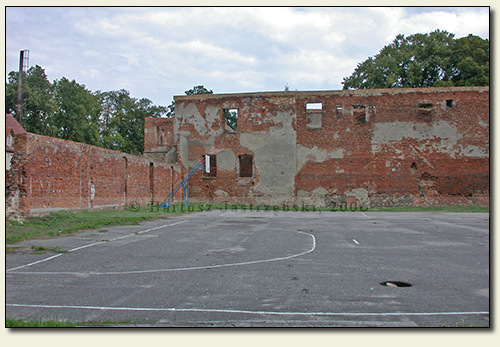 However, a few hundred years later a stronghold diminished in its importance and was abandoned. In the XIIIth and the XIVth cent. 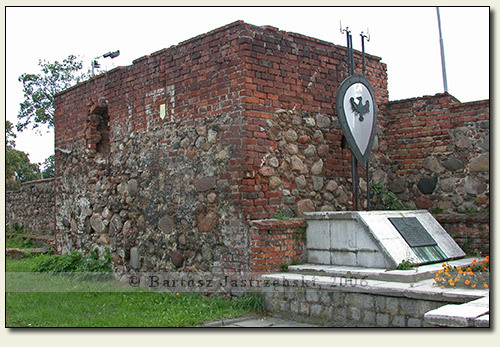 the town was frequently changing its nationality, till 1482 when surrounding lands were separated from the Silesia and incorporated to New March. The construction of the castle was probably initiated already in the XIIIth cent., but its finish fell on the XIVth cent. Still in the same century a defensive foundation saw a conversion, and in the next two centuries – the following ones. 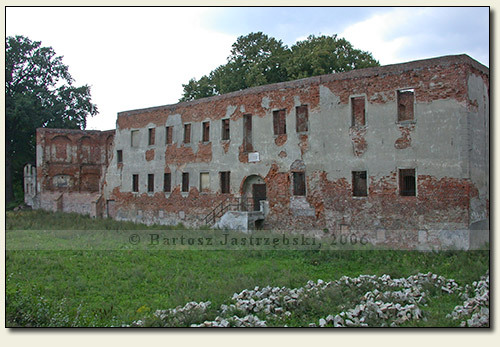 As a result of construction works the castle changed into a Renaissance mansion, which burnt down in 1634. 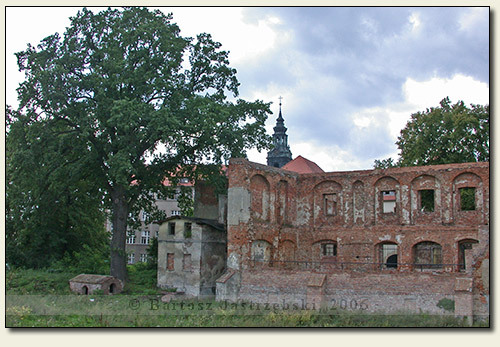 On the account of a strategic situation of Krosno for Prussia, the buildings were quickly reconstructed, and in the XIXth cent. 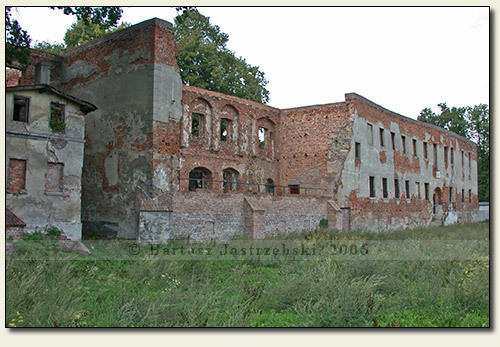 were transformed into barracks that burnt down as well in 1945. Restoration works from the years of 1964-66 partially saved the remains of the monument.